When you’re in the wilderness, take advantage of the benefits of cinnamon to help you survive. The benefits of cinnamon make it more than an ingredient for a decadent sweet treat. You will find it surprising that cinnamon has many uses for survival! It’s time to know beyond cinnamon uses in cooking. Find out how this spice can be handy for survival outdoors. For example, when you have hypertension, your blood pressure can shoot up while you’re outdoors. Think about the heat and exhaustion. Your condition can turn for the worse faster if you have hypertension and type 2 diabetes (or prediabetes). A possible short-term treatment is cinnamon. In a 2013 meta-analysis published in Nutrition, randomized clinical trials showed a significant decrease in both systolic and diastolic blood pressure. As a preventive measure, get a cinnamon stick and add it to your food or infuse it in water. Cinnamon contains antioxidants such as flavonoids, polyphenols, and phenolic acids. These can provide an anti-inflammatory effect. Antioxidant Definition: These are compounds that prevent the process of oxidation, which may lead to cellular damage. When you consume the spice, it may decrease inflammation in your body. It then becomes helpful when you have swelling perhaps due to injuries. This spice can also help in repairing tissue damage and relieving muscle pains, especially if you take it with ginger. KOSHER our top quality ground cinnamon powder is Certified Kosher by the OK - "OK Kosher" Certification is one of the top kosher certification agencies in the USA. HEALTH cinnamon is not just a spice. It also has been used for traditional medicine. Cinnamon is believed to help Lower cholesterol, blood sugar levels, diabetes, heartburn, indigestion, nausea, digestive system, loss of appetite, bronchitis. It is also very rich vitamins and minerals. Such as vitamin A, B1-B2-B3-B6-B9, C, E, K, antioxidant, dietary fiber, calcium, Iron, magnesium, phosphorus, potassium, zinc, low in Saturated Fat, Cholesterol, and Sodium. And much more. BEST USAGE Cinnamon is wonderful to add an extra flavor to your daily recipe. It's used mainly as an aromatic condiment and flavoring additive a wide variety of cuisines, sweet and savory dishes. Perfect for all baking goods from bread to cakes and cookies. Or just try it on any kind of meat, cereals, and on fruits especially on apples, and even in tea, coffee, or hot chocolate, for a new delicious yummy fresh flavor. One of the benefits of cinnamon is an improved immune function. The spice contains organic compounds called cinnamaldehyde and eugenol. These help ward off different kinds of infection. A 2015 study in Nutrients revealed how cinnamon is active against two bacterial strains such as Moraxella catarrhalis. It is a bacterium that can potentially cause infections of the lower respiratory tract, eyes, and joint. It is also resistant to some conventional antibiotics. This makes cinnamon a possible alternative to antibiotics when you cannot get hold of a doctor for a prescription. Another research showed the same ingredient may help decrease the likelihood of salmonella infection. Do you ever wonder why some toothpaste brands, especially natural ones, contain cinnamon? It turns out it may be helpful in improving oral health. A 2011 study in the Journal of Clinical Dentistry showed it may reduce the chances of developing halitosis. Now, bad breath may be the least of your concerns when you’re trying to survive in the wilderness. What is halitosis? It is also known as chronic bad breath. Note, though, this medical condition may occur due to a significant presence of bacteria in the mouth. Some of these can be dangerous enough to cause certain diseases. Another research may also corroborate the oral health benefits of cinnamon. Its oil version may be more effective than clove in fighting a wide variety of oral bacteria. It’s always best to include a toothbrush in your toiletry kit. If you can’t, you can steep cinnamon sticks in warm water and then drink it like tea. 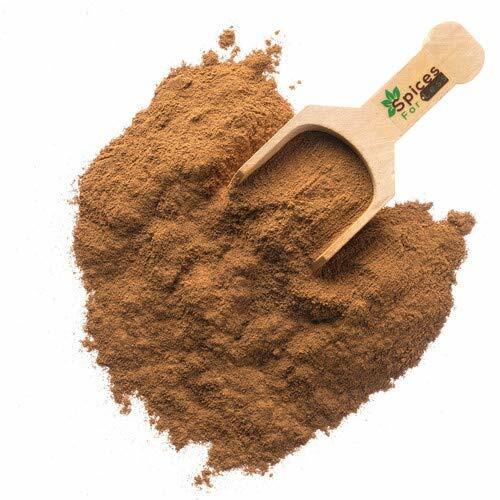 Since cinnamon has antioxidant and antibacterial properties, it can help in keeping the stomach healthy and fight infections causing your stomach ache. Just drink water infused with cinnamon for a bad case of indigestion. Doing this can also help settle your stomach when you eat poorly cooked meat or fish. Taking a bath is one of the best ways to remove pollutants and contaminants from the body. So is washing your hands. What if you run out of bath soaps and body washes? Your next best option is to use cinnamon. You can make this spice into an antibacterial solution. All you have to do is mix it with water, and voila! You can now take a bath without worries. If you’re camping in the woods and you forgot to bring along an insect repellant, then don’t worry. One of the cinnamon benefits is being a bug repellant. You can use it against mosquitoes, ants, or bees. It has a unique smell insects and animals don’t like, which keeps them at bay. Don’t use the repellant when you’re out hunting, though. You may end up driving away your prey. It’s amazing how a well-loved dessert ingredient can save you when you’re out in the wild. With all these benefits of cinnamon, surely, you’ll make the sticks and powder a part of your bug-out bag! Editor’s Note: This post was originally published on February 9, 2018, and has been updated for quality and relevancy. It is very good in diabetes ! Helps manage Diabetes, and lower A1C. Being able to download and save the text and photos would be nice. Sprinkle cinnamon across the doorway or window where ants are coming into the house and no more problem.